Fabulous row home with a perfect mix of recent renovations and original charm! 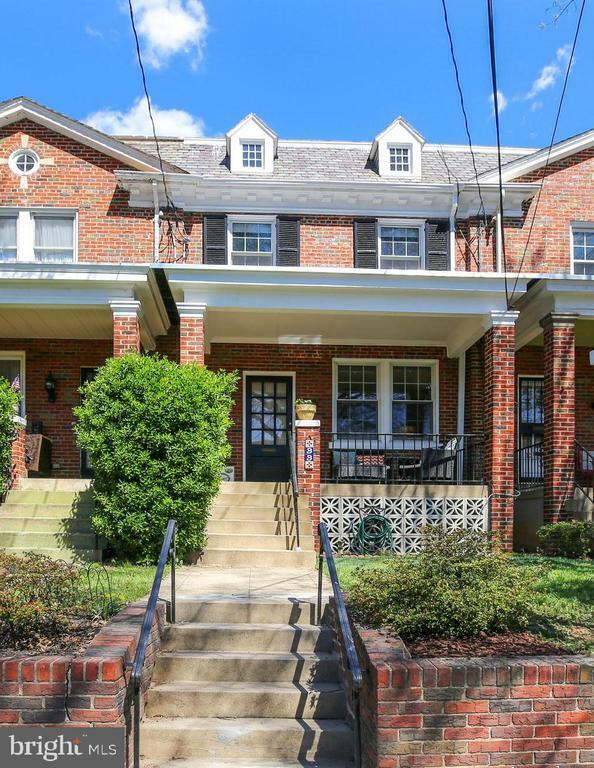 10 min walk to Fort Totten Metro (red and yellow/green lines)! Brand new kitchen with Quartz countertops, stainless appliances and designer tile flooring. Hardwood floors, beautiful original woodwork, a huge yard AND a parking pad for 2 cars! 3 bedrooms with possible 4th bedroom in the lower level. 3 FULL BATHS, tons of storage and all windows have been replaced! Walk to the shops and restaurants of Petworth, Kennedy Street and Fort Totten Square. One mile to Takoma Community Center with a park and pool thats free to DC residents. Easy access to Metropolitan Branch Trail (MBT) bike path that leads to Brookland and Union Station. This is a must see! Directions: From downtown DC take 9th to New Hampshire Ave, then right on Hamilton.